Considering how little rain falls in Southern California, you’d think erosion wouldn’t be a problem here. Actually, the heavy clay soil typical of San Diego County is especially vulnerable to both rain and wind erosion it’s not porous enough to absorb a winter downpour, and it doesn’t support enough vegetation to keep from blowing away during summer’s hot, dry Santa Ana winds. The results: gullies, mudslides and lost topsoil. 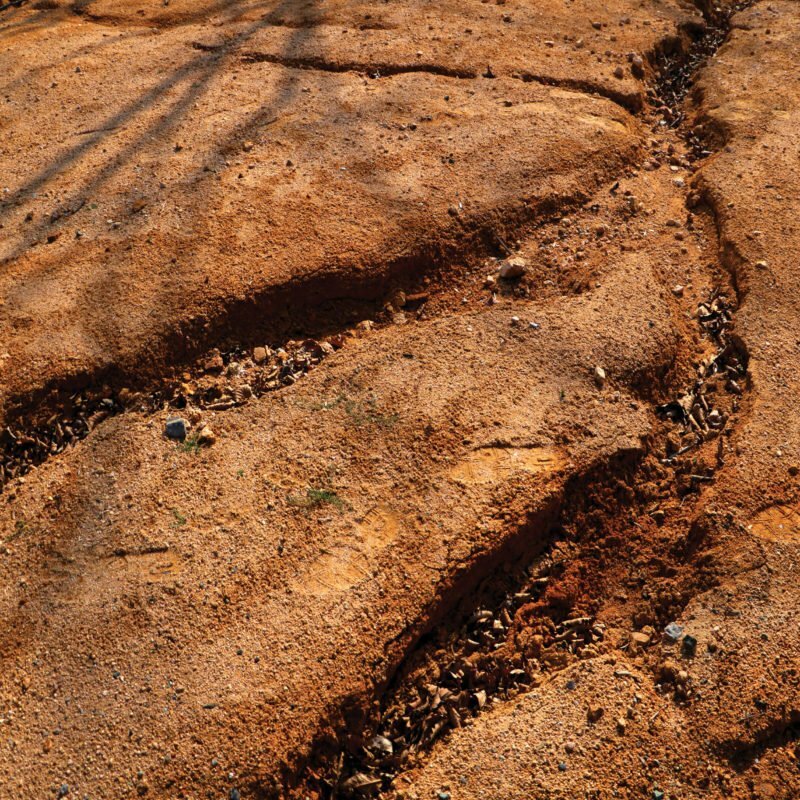 By far, the best long-term solution to erosion is vegetation. Grasses, ground covers, shrubs and trees break the force of the rain, reduce the speed of storm runoff, and shield the soil from wind. On slopes, you’ll need deeply rooted plants; shrubs do a nice job. Plant them 3 feet apart and add a sturdy cover in between. 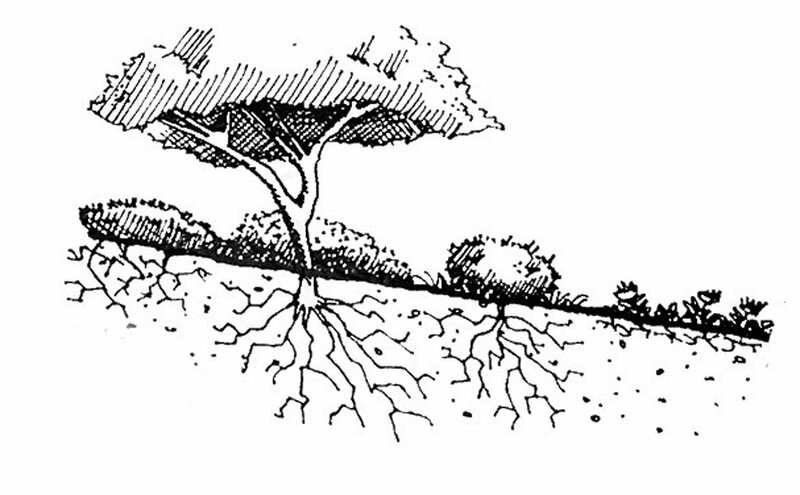 Straw or grass clippings punched into the soil may be enough to protect exposed ground until plants fill in. Or you can try a spray-on fiber that hardens into a biodegradable protective skin. Another commercial option is an erosion control blanket-netting made of jute, straw, nylon or polypropylene. Spread it out, seed over the top, or plant right through it. Some of these products are designed as permanent reinforcement, but most decompose after vegetation becomes established. 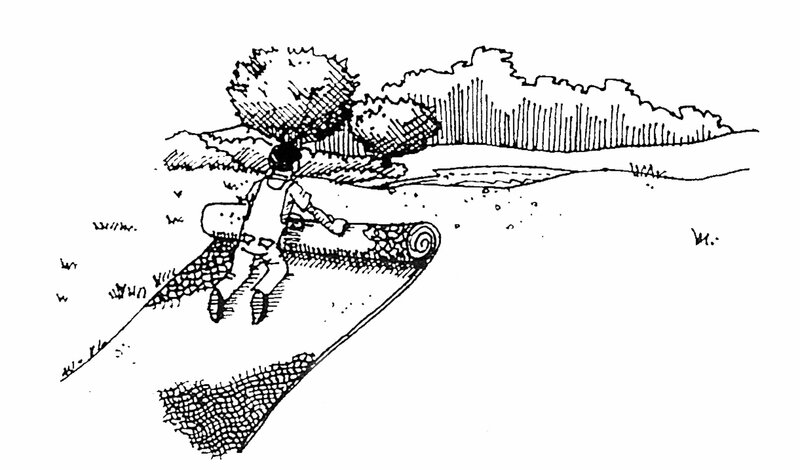 In areas susceptible to severe damage, such as gullies, try staking bales of hay across the slope to slow and divert runoff. 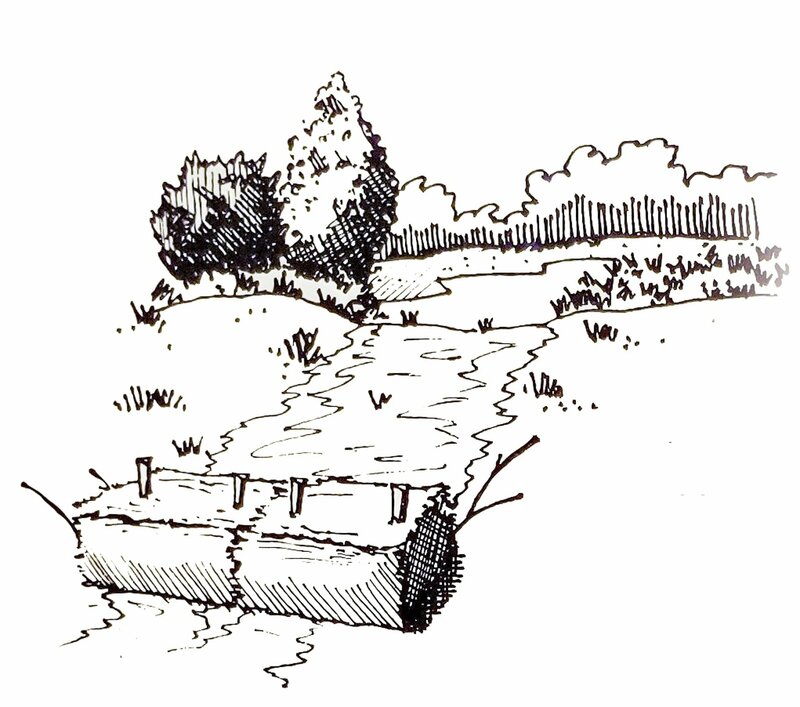 Or consider installing a deep-set plastic grid, available commercially, which dissipates the waters force by dividing the slope into small sections. Erosion control blankets are easy to roll out, seed over or plant through. Most decompose after vegetation becomes established. Stake bales of hay or straw across a steep slope to slow down and divert runoff. Straw or grass clippings punched into the soil may be enough to protect exposed ground. 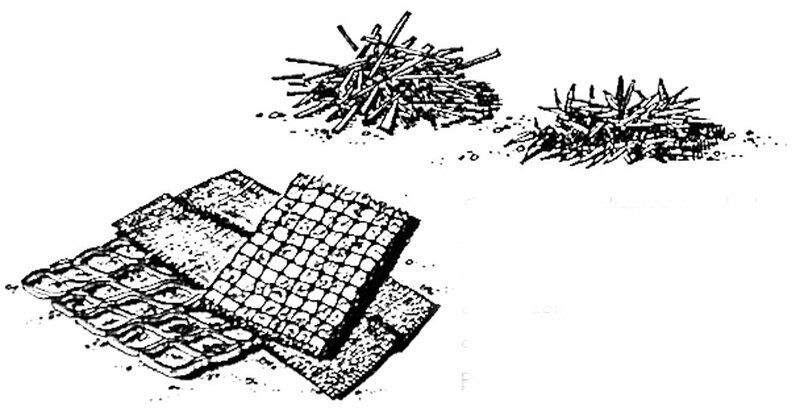 Or try an erosion control blanket-netting made of jute, straw, nylon or polypropylene. Grasses and ground covers break the rains force, slow runoff, and shield soil from wind. On slopes you’ll need deep-rooted trees and shrubs.